In yet another landmark deal, Big Machine Records founder and CEO Scott Borchetta has commenced a joint venture in the songwriting realm with the pop world’s Dr. Luke. A songwriter and producer, Dr. Luke’s publishing company boasts 30-40 big names in the pop world–names like Katy Perry and Ke$ha. The objective of the joint venture is “to allow the two companies to co-publish songwriters with the goal of bringing country and pop writers into each other’s realm.” In other words, the deal will likely mean even more pop on country radio, as pop songwriters and producers collaborate more intimately with Big Machine’s growing roster of country talent. The new deal will mean that at the very inception of the creative process–the writing of songs–pop writers and producers will have more input in country music. It will also mean that since Dr. Luke’s pop songwriters will be working under the same corporate umbrella as their country counterparts, the collaborations will be more financially lucrative for the parent companies. The deal could also erode the genre integrity of the pop world, as country producers and songwriters from Nashville swap their tastes with LA-based pop acts. Similar to Clear Channel monopolizing radio markets and offering less choice to consumers, the Borchetta/Dr. Luke deal could mean the erosion of choice and contrast between country and pop. The reason Saving Country Music often refers to Scott Borchetta as the “Country Music Anti-Christ” is not because of the way he handles his Big Machine roster. 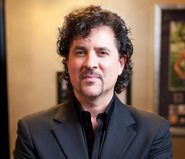 Compared to many Music Row CEO’s, Borchetta offers incredible creative latitude and financial fairness to his talent bin; a bin that now includes names like Tim McGraw, Rascal Flatts, Florida Georgia Line, Reba McEntire, and The Band Perry. But Borchetta might also be the most responsible party for the erosion of the term “country” in the history of the genre, as he continues to market songs and artists that are either pop or mostly pop through country channels. Most of all, the new deal reaffirms Scott Borchetta as one of the leading minds in the music business. Country fans can hate on him all they want, but Borchetta has proven himself to be smarter and more shrewd than his Music Row brethren time and time again. just great, thanks for the insight. This deal is not the first of its kind. Creative Nation (founded by Beth Mason Laird and her husband, country hitmaker Luke Laird) announced an identical partnership with Pulse Recordings last July. Luke Laird’s name can be found on hits by Little Big Town, Carrie Underwood, Blake Shelton, Brad Paisley, Lady Antebellum, Eric Church, and many more. Last August , ASCAP held a songwriting retreat bringing together country hitmakers with pop hitmakers with the goal of writing songs for Beyonce (2 out of the 3 days were devoted to that) and Blake Shelton (he got the last day). Before the publishing rights organizations and publishing companies got on board, some artists were themselves trying to bring together songwriters from different genres. Carrie Underwood is probably the leading example: Her 2009 album Play On featured multiple collaborations between Nashville’s country songwriters and pop/rock songwriters like Mike Elizondo, David Hodges, Kara DioGuardi & Marti Frederiksen (for 2 songs), Zac Maloy, Chantal Kreviazuk, and Raine Maida. That album also featured a song called ‘Quitter’ that was cowritten and produced by Max Martin, Savan Kotecha, and Shellback, but it was nothing like Taylor’s Max Martin songs. It was more of an acoustic pop song with some cool mandolin work. Interestingly, Carrie Underwood’s 2012 album ‘Blown Away’ was much more of a Nashville album: David Hodges, Chris DeStefano, and Ryan Tedder are the only writers whose previous work is primarily in pop, though Chris DeStefano’s had an increased presence in country lately. Bottom line is this is not Scott Borchetta setting a trend. The trend was in place before Scott Borchetta got there, and he’s not even the first person to do an official joint venture with a pop publisher. First off, thanks for the great research. This illustrates how deep the infiltration of pop is going into the most fundamental building block of music–the songwriting process. And that it is touching many corners of the country world. Please don’t understand me though, I didn’t say this was the very first of its kind. I do think it is a bigger, more important deal than the others ones you mentioned for many reasons, but really country writers and pop writers collaborating is nothing new. Kenny Rogers and Lionel Richie come to mind, and I’m sure there’s many more earlier examples than that. The reason I think it is a big game changer is because Scott Borchetta owns the publishing company that covers his Big Machine artists, NOT some independent company like many artists have, one like Creative Nation. Scott Borchetta is empire building, and doing a damn good job of it. First he signed deals with radio to get performance rights for his artists. Then he started a publishing wing of Big Machine. Now he’s bridging that with another company to pool resources. He’s creating connections and synergies throughout the music business where he can control every facet of a song. I don’t mean to sound like a conspiracy theorist. He still has a long way to go. But as opposed to focusing on just one side of the music business–funding the recording and distribution of music–Borchetta is involving himself in nearly every part of the music building process. And taken the size of his roster, and the size of some of the names on that roster, I do think this could be part of something that is unprecedented in music. Dang, you were spot on Trigger. Maybe soon we’ll see FGL open for Ke$sha. Sounds more to me like both formats would end up watered-down to the point where they’re virtually indistinguishable (if that’s not already the case). Grr.. Borchetta, release Swift from your manipulations and let us enjoy what good teen pop music is about. Sadly Trig you have this one nailed. The hope for country music going foward was and still is independent musicans using the power of the new media to bypass the country music antichrist and his ilk to spread quality art to as many people as possible. The mainstream country world was and remains, going foward a totally lost cause. I hate that greasy midget.